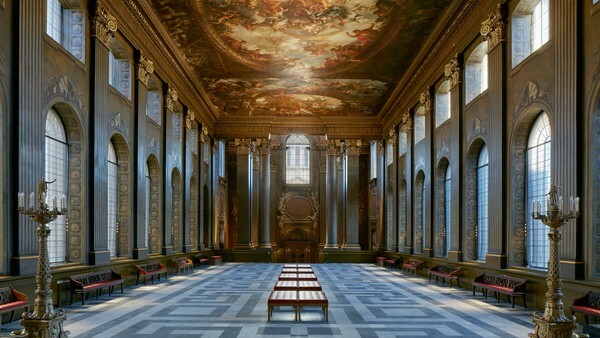 Our project for the conservation of Sir Christopher Wren's Painted Hall at Greenwich's Old Royal Naval College has been granted Scheduled Ancient Monument consent and awarded a £3.2M grant from the Heritage Lottery Fund towards the £8M project cost. Planned to complete in 2018, the project will restore the Christopher Wren and Nicholas Hawksmoor-designed building and create a new entrance to the undercroft, which will be revealed in its entirety for the first time in nearly 100 years. 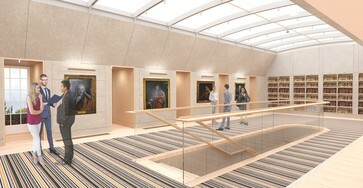 More than 3,700m² of painted surfaces will be conserved and the project will see the ceiling of the lower hall – showing King William III and Queen Mary II – and the interior of the vestibule – listing the names of historic donors – both returned to their former glory. A new visitor centre – featuring a reception, shop, toilets and café – will also be created in the undercroft.